It's Friday and the weekend starts here everyone. Hope all is well with you today. When Jill told us that Vixx had chosen the colour red for the Stamp Man challenge this fortnight, my attention immediately turned to Valentine's, but I have been hankering to go back to T!m's tags of Christmas to try the techniques as I didn't get to make them (maybe 2??) - and Grungy Monday this week is about his fabulous tags, so I knew this would fit perfectly - sorry I have been awol Linda, but here I am and hope to take part more often again. So off I go to T!m's blog, find the tags and start at number one. But of course Christmas is over, I don't want to replicate them so I get the little grey cells working (do you like the touch of Poirot here? 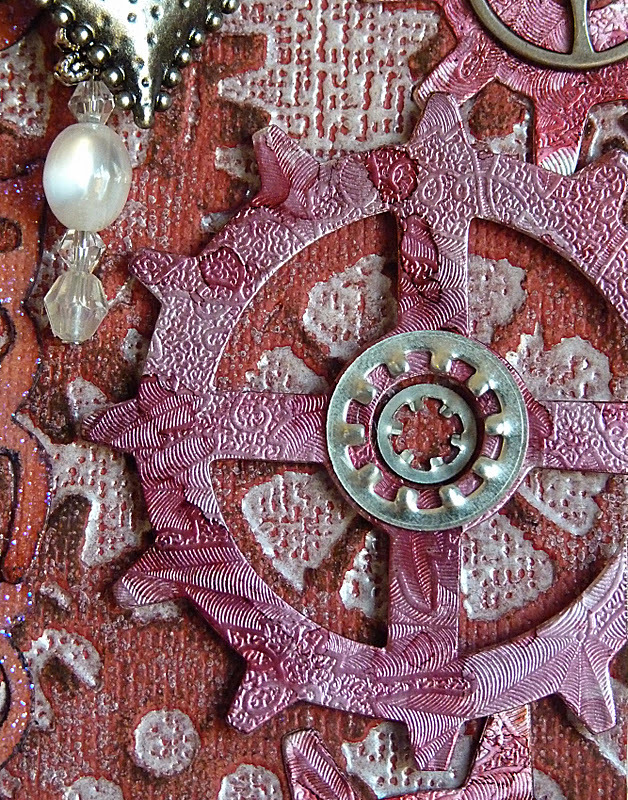 ), and gather a new embossing folder - steampunk, gadget gears die and tattered leaves die. An embryo of an idea starts to emerge. 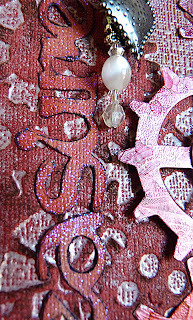 Tag 1 used embossing resist - a fabulous technique. I've got coredinations but no kraft core for the tag, so having used red card, the steampunk embossing folder and after the silver satin pearl ep has cooled I sand the top and then rub walnut stain over it. I die cut the word 'treasure' and tattered leaves from different red coredinations and the gears from silver embossed card. Valentine feel after all eh? So what are you making with the colour red at the moment? Come join us at The Stamp Man challenge to show us and you could be in with that chance of a £10.00 voucher for Jill's on-line store. What are you waiting for? - Let's go and I will see you there. Just brilliant, another stunner Brenda, love all the little cogs, and that is one gorgeous heart charm. Love your detailed tag Brenda....your grey cells did a good job....wishing you a wonderful weekend! Looks great, and does appear that you had a bit of fun! A wild windy day here today with some snow and ice. (yuk) Hubby is still in hospital, but hopefully home soon. Take care. This Tag is beautiful.. love the colour and as always your detail and technique's are simply amazing!!! I do love all your Tags they are always stunning!! have a super weekend chum. 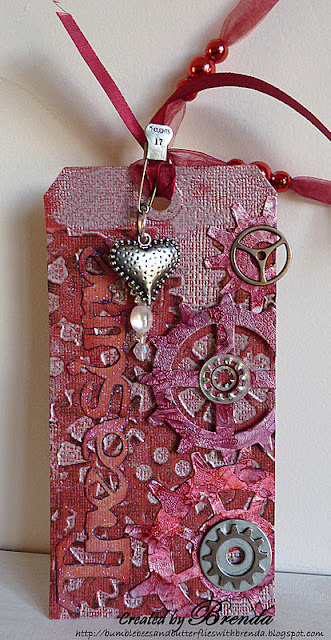 Brenda, I so love this steampunk Valentine's Day tag! The background is soooooo awesome! If you used one of the techniques from the 12 Tags, you should link it up to Grungy Monday! Happy Weekend!!! Totally stunning I so love it, wow I have spent ages examining it lol love it! Wow! I love it and I am "red" with envy, lol. Fabulous! You definitly went red, Brenda but this works brilliantly. It reminds me of one of those old engines you see that are painted red. I love the heart charm too. Well done for adapting on of the Christmas tags. Tim would be proud of this!! A really great tag Brenda and all the elements so cleverly combines together. Thank you so much for joining us at Stampalot Challenge this month, good luck and hope you will be back next month. Amazing work Brenda, loving this tag. So much texture and shape. Thanks for joining us at SIR STAMPALOT this month. a fantastic tag Brenda. I think we should rename you Queen of Holtz! hope you are well. School has been a bit more normal this week! Great tag Brenda. The textures you have achieved are fabulous. Well you are ahead of me ... It will probably be be February before I get back to Tim's tags!! Wow, this is fantastic a Steampunk Valentine, great idea. Thankyou for joining us at TioT's this week. Just gorgeous and eye catching! Kudos to you! A fabulous tag from you Brenda. 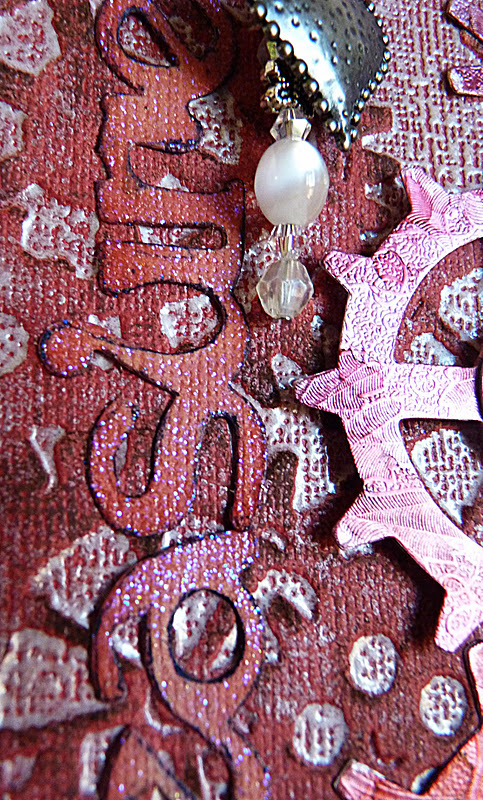 Wow, how cool - such a fantastic tag, love the textured background and all the steampunk elements. I adore this tag,. the fabulous colours, your stamping the cogs and the heart all beautifully placed......perfection. Totally terrific - looks like it was a lot of fun to make. The steam punk angle for Valentine's Day is very imaginative and refreshing. So glad you joined in the fun this week at Simon Says Stamp and Show for our Red Letter Day challenge. Fabulous colours and texture - a great tag and creation for Valentines Day! Thanks so much for joining in with The Simon Says Stamp and Show challenge. Sarah. Gorgeous monochrome tag, Brenda. Thanks so much for sharing with us at Sir stampalot this month and good luck!